Dublin Jod Clips are easy to use little elastic straps that go around the bottom of your riding shoes to keep your jods from riding up. Worn on the outside of the boot. 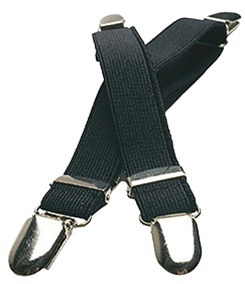 Made from sturdy elastic and adjustable.